When we were in the process of forming PJO Insurance Brokerage, our primary requirement and absolute must for the agency was that it needed to be established as an independent insurance agency. We felt that by being an independent agency, it would present the best options to our Las Vegas and Clark County, NV clients by providing a broader range of insurance products and carriers to fit their particular Nevada commercial insurance needs. The brokers at PJO Insurance Brokerage take pride in the fact that our agency has access to some of the best insurance carriers and products in the country, so our valued Las Vegas and Clark County, NV clients can be assured that their insurance needs are being met along with superior customer service. In fact, PJO Insurance Brokerage carefully reviews each client’s business operations and the risks associated with it to make sure our brokers create the proper insurance program to fit our client’s insurance needs. PJO Insurance Brokerage has the resources and flexibility that are very important where the insurance market is concerned, taking into consideration how fast the insurance markets can change. Your Las Vegas and Clark County, NV company will work with one of our professional and experienced brokers who are well versed with the areas of concern for your business and create a commercial insurance plan that is tailored to your company, regardless of whether your Las Vegas or Clark County, NV company is just getting started or you are looking to renew or replace your current commercial insurance policies. PJO Insurance Brokerage has the experience to handle all of your company’s insurance needs. The main objective of PJO Insurance Brokerage is to see that your Las Vegas or Clark County, NV company is provided with a proper commercial insurance program, which we feel is a very important first step in your company’s overall comprehensive business plan. 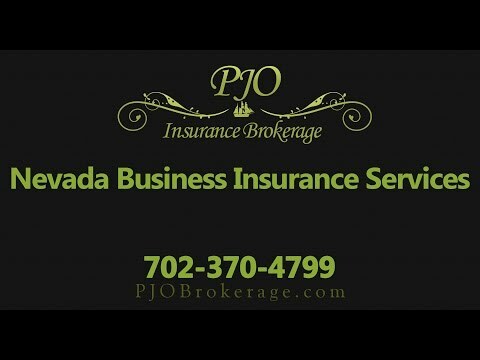 Here, at PJO Insurance Brokerage in Nevada, we know that no two companies are the same, and with the vast number of insurance carriers we have access to, we are very confident that our experienced brokers can present the proper insurance program for your particular business. We, at PJO Insurance Brokerage, look forward to working with your company and assisting you with your insurance needs in the very near future.